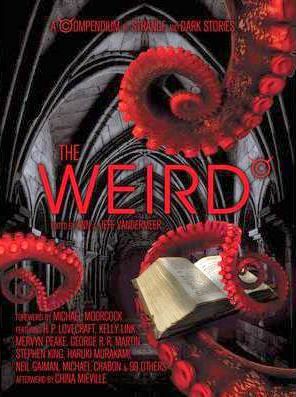 I swear the postman looked distinctly happier after offloading a copy of The Weird into the porch earlier this week. It is by no means a small book. Indeed, it looks like a textbook, and that is a compliment. I would rather like to teach a course that might use it. And I like that tag line: ‘A Compendium of Strange and Dark Stories’. As a child, I loved huge, bulky collections of stories, books that I could vanish into for hours, and this has something of the same feel about it. It also, though more in content than design, reminds me of Alberto Manguel’s Black Water, an anthology that had a huge effect on my reading when it first came out. 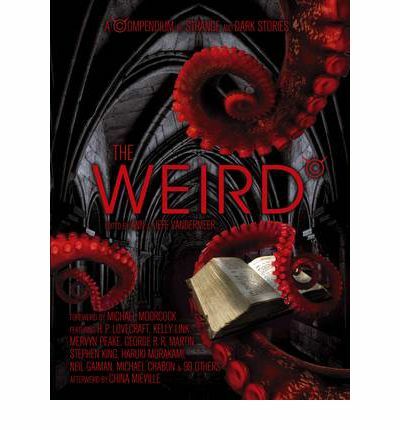 I have a feeling that The Weird is going to do something similar, not so much in terms of steering me towards new writing, though I anticipate that a certain amount of that will happen, but because I hope it will provide an opportunity for me to revisit things I’ve been reading over the years, to reassess my understanding of the weird and the fantastic in fiction. Of the anglophone writers, I’m familiar with most of the names, and a good number of the stories (and in a number of instances, other stories from the same writers), but what really excites me about this collection is the material from non-anglophone writers. I am very much looking forward to exploring names that are new to me. I’ll take the Fore- and Afterweirds (wincing slightly at the pun) at the end of the reading, for reasons I’ve not yet fully articulated to myself, but it just feels right. This entry was posted in Uncategorized on November 3, 2011 by maureenkspeller.